you want to be tomorrow." -Daniel E. Ruettiger, author of Rudy's Rules and the inspiration for the movie Rudy! Have you ever heard yourself or anyone else make these excuses? ● It's not my responsibility. ● I can't handle it. ● I'm all stressed out. ● If only I would have. ● It's not my fault. ● It's who you know. ● I don't have any money! ● It's all your fault. 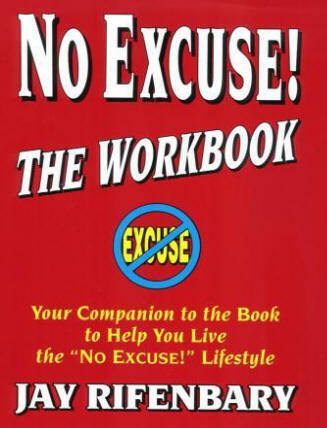 Learn how to rid yourself of excuse making and get on with it! ● Break through the barriers between you and achievement. ● Eliminate all excuses from your life. ● Discover or update your personal definition of success. ● Unleash the potential within you. ● Learn how to be happy and successful. "Never before has society needed the philosophy in these pages more...the time is now to stand up and be totally accountable for our own actions..."